The Diesel On Full Guard 2.5 smartwatch grabs your attention like no other. Ignore the size, and embrace the boldness. I’m going to start with a disclaimer. 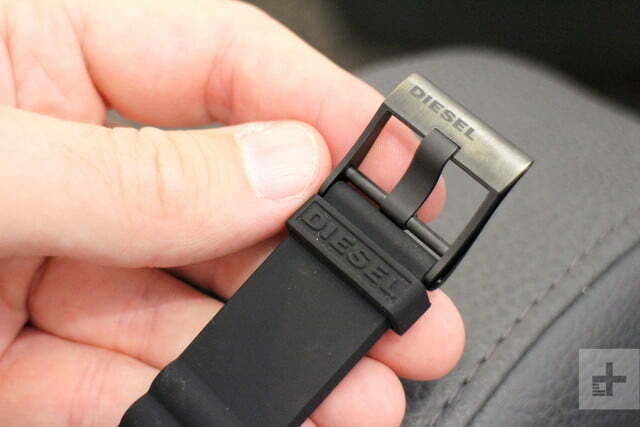 I like Diesel watches. 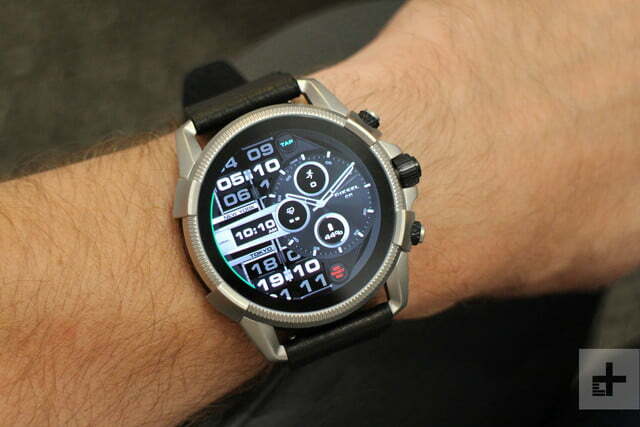 The big, bold, take-no-prisoners designs are unique, and instantly recognizable on your wrist. The sheer size of most means you can’t miss someone wearing one either. 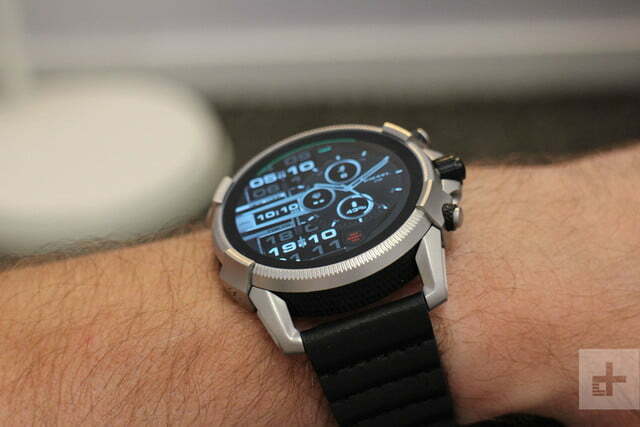 I always hold a special kind of admiration for anyone I see wearing the Mr. Daddy 2.0 Diesel watch, all 57mm of it. 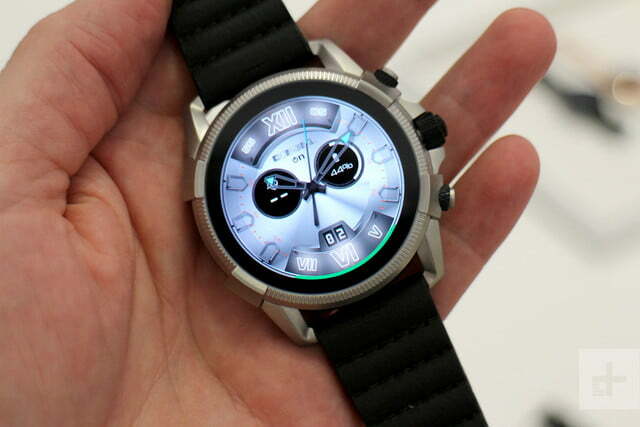 This makes me pre-disposed to like Diesel watch designs; but would that carry over into Diesel smartwatches? 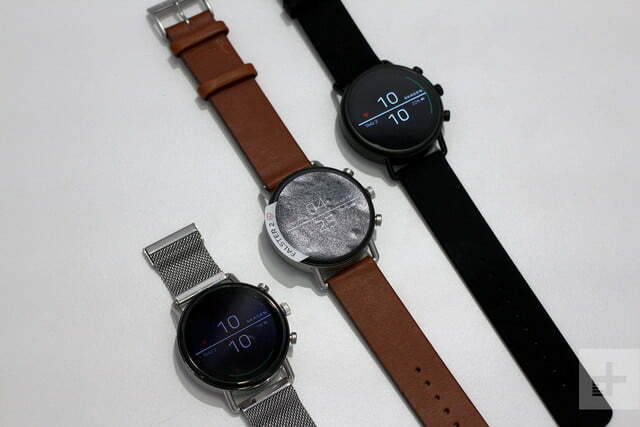 After all, tech and watch design doesn’t always mix. Not to worry. The new Diesel On Full Guard 2.5 is fabulous. 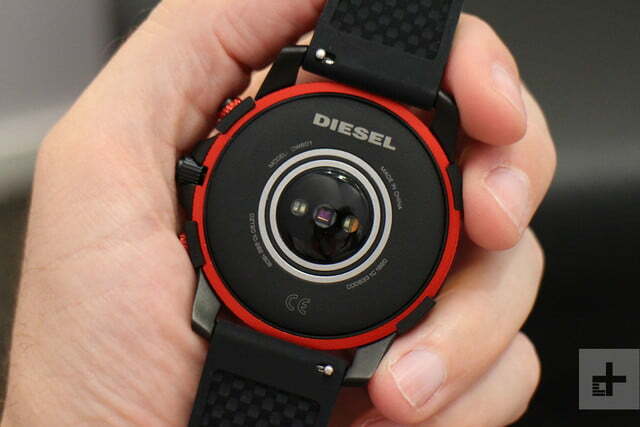 Yes it’s large; but at 47mm it’s quite compact by Diesel’s standards, and it’s also surprisingly slim, an aspect emphasised by the clever design. 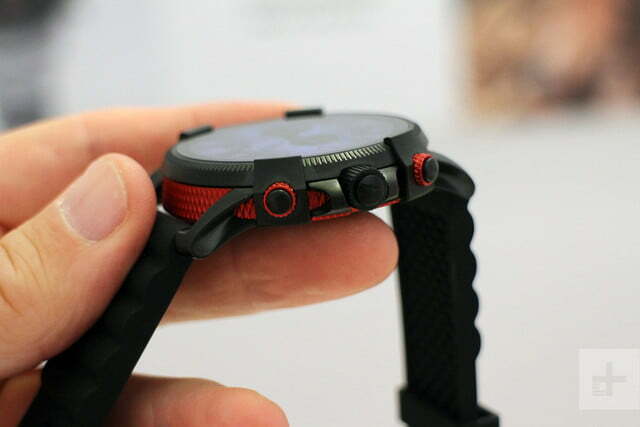 The red and black color scheme is our pick, which takes on the knurled case feature seen on some of this year’s traditional Diesel watches. The case is packed with interesting visuals, from the textured bezel to the two tone buttons. It’s fantastic looking. The new Diesel On Full Guard 2.5 is fabulous. 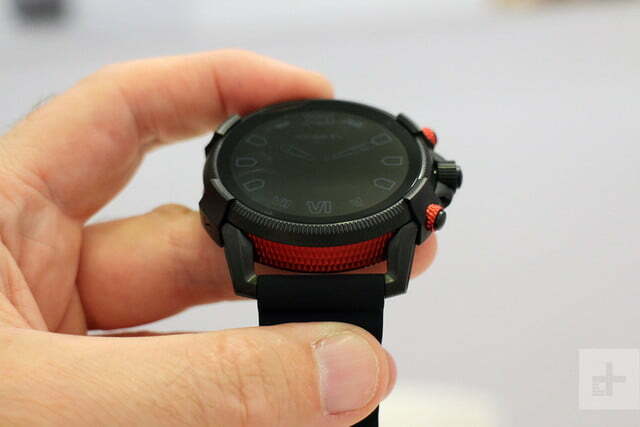 The silicone rubber strap is pliant and comfortable, and a textured underside promises to be grippy and also help keep your wrist cool, plus it’s easily changed for another if you don’t like it. 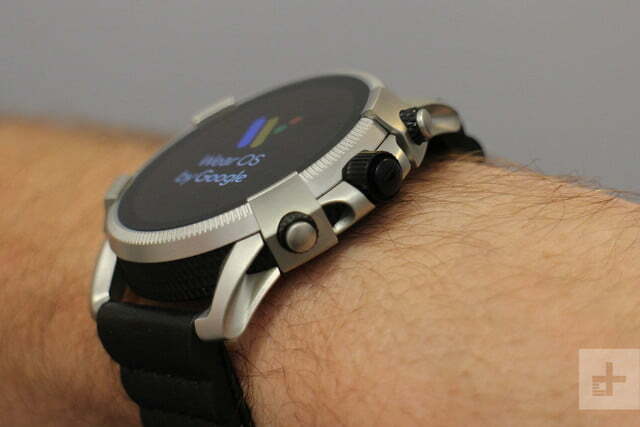 It’s light too, even the version with the metal strap. 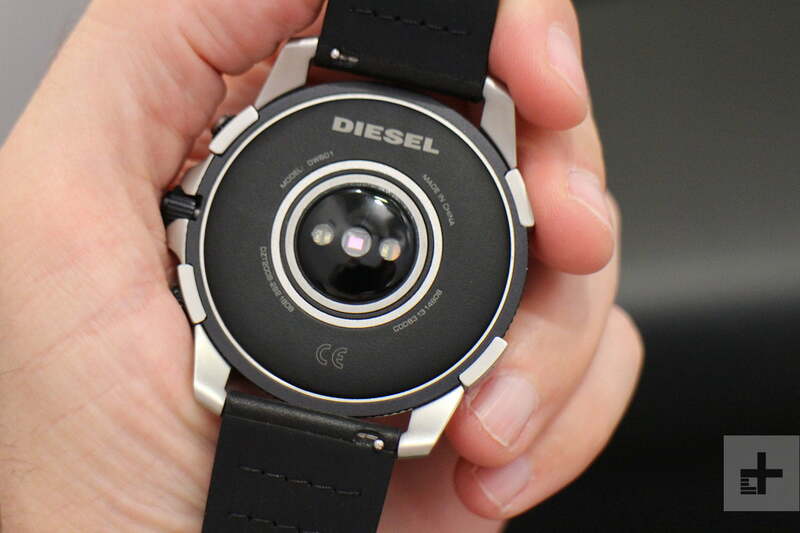 Diesel told Digital Trends in an interview that loyal fans of the brand are happy to wear big watches, regardless of wrist size. 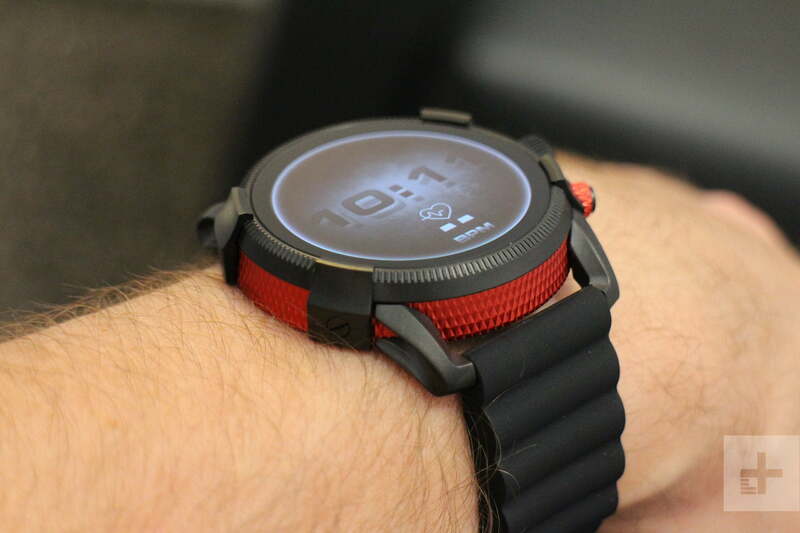 If you like the jazzy look of the On Full Guard 2.5, don’t be afraid of putting it on, even if you think your wrist is small. You may be surprised at how great it looks as an accessory. How about the technology? There’s plenty, particularly compared to the first On Full Guard. 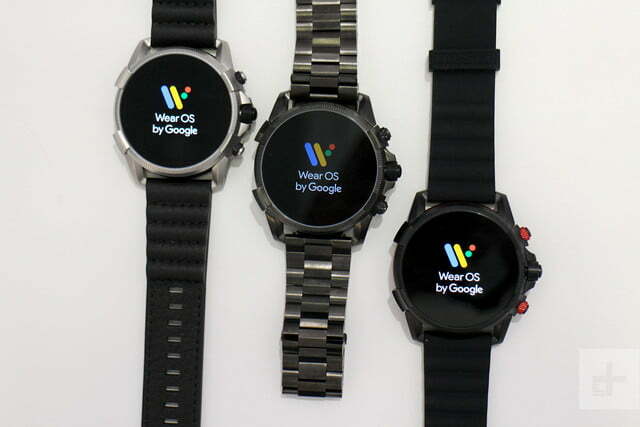 The new watch has GPS, a heart rate sensor, NFC, and a 1.39-inch screen; but the real triumph is the crown. 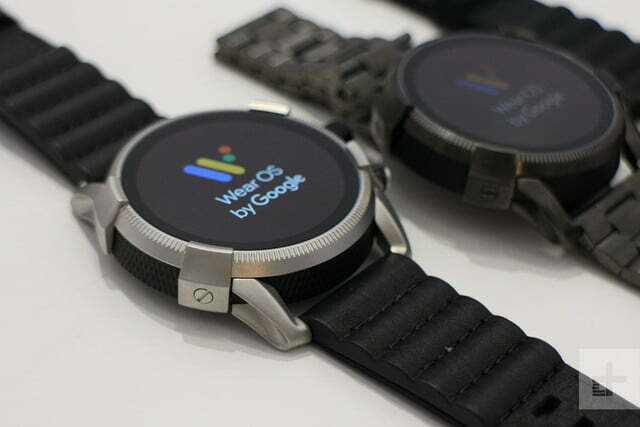 Turn it to scroll through WearOS menus, rather than using your finger on the touchscreen. 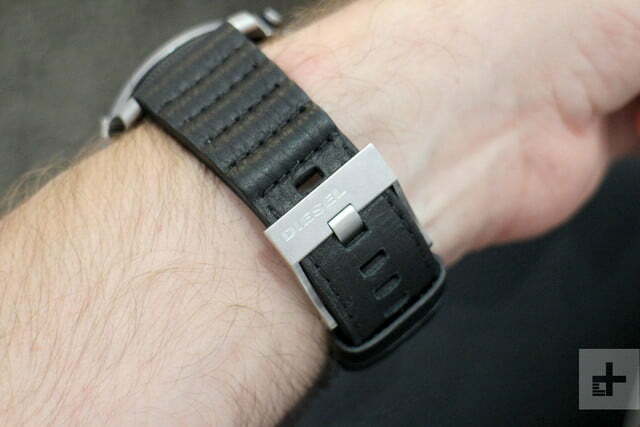 A feature promised for ages, we’re happy this has properly made its debut, as it transforms the way you use the watch. It’s more natural, easier, faster, and more precise than finger scrolling. 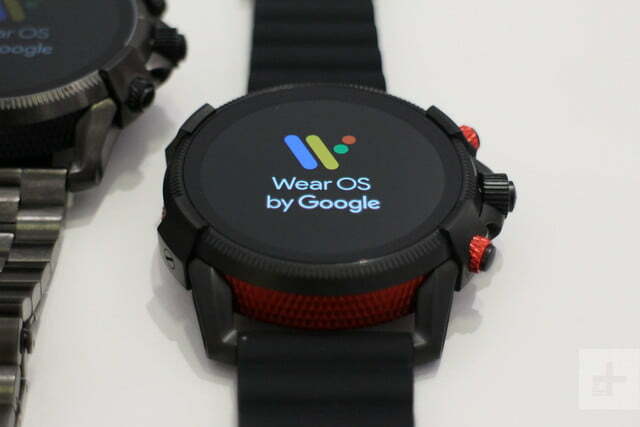 The On Full Guard 2.5 watch we tried had a demo version of the revised WearOS platform onboard. The On Full Guard 2.5’s design and operation is excellent, but here comes the complaint: It still uses the Snapdragon 2100 wearable platform, which is old and often a little slow, plus there’s only 512MB of RAM. 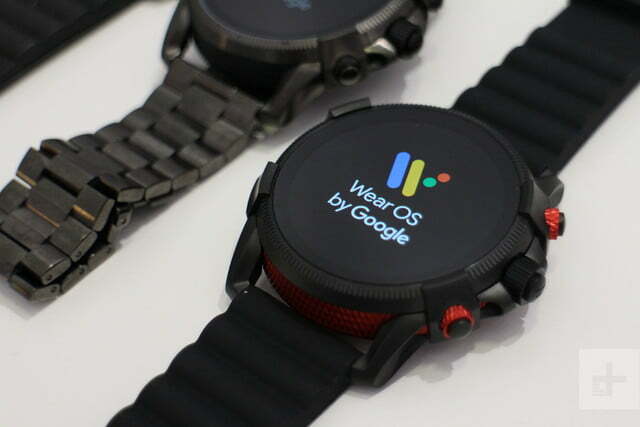 Qualcomm is expected to release a new wearable chipset in September, and although the 2100 won’t become obsolete, it will be a generation behind the latest. 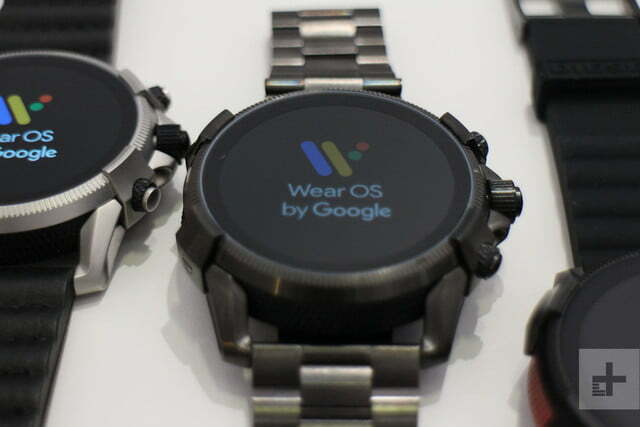 That said, the new WearOS software will hopefully give all the compatible 2100-powered watches a new lease of life. 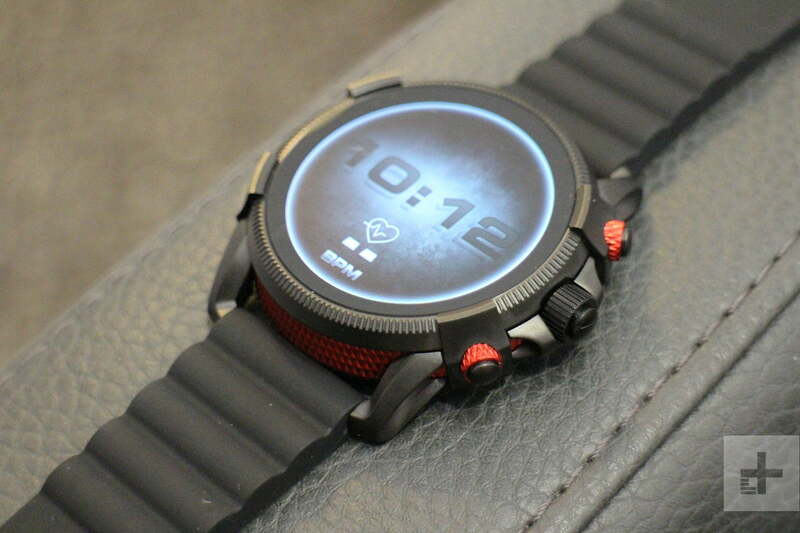 Ignoring the processor news, we’ll still be beating a path to Diesel’s door when the On Full Guard 2.5 comes out later this year, and suggest anyone who likes their smartwatches bold and eye-catching does the same. The On Full Guard 2.5 comes in several different styles, including a gunmetal grey with a bold metal link bracelet, but we adore the black and red model here. Prices vary and start at $325, depending on the combination you choose.